It’s been a while since we heard anything Evangelion related except for the news that Netflix will have all the classic episodes and the movies. It’s been announced that the production of the last Evangelion movie has begun and will be doing the audio recording for dialogue. 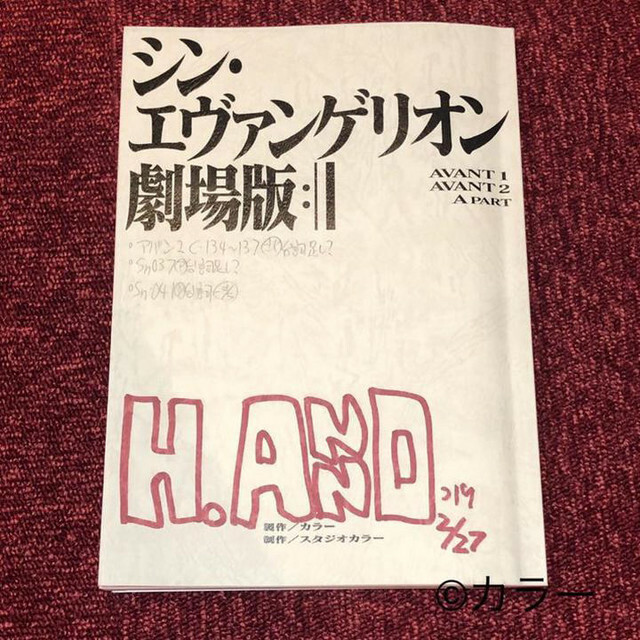 Posted online, anime director Hideaki Anno posted the script for Evangelion Shin Gekijōban :|| also known as Evangelion 3.0 + 1.0. The final Evangelion movie is expected to be released in 2020, the same time where Japan where be hosting the Olympus.